I made it to the post office in the nick of time this weekend to mail off my simple sweet valentines in time for the 14th. 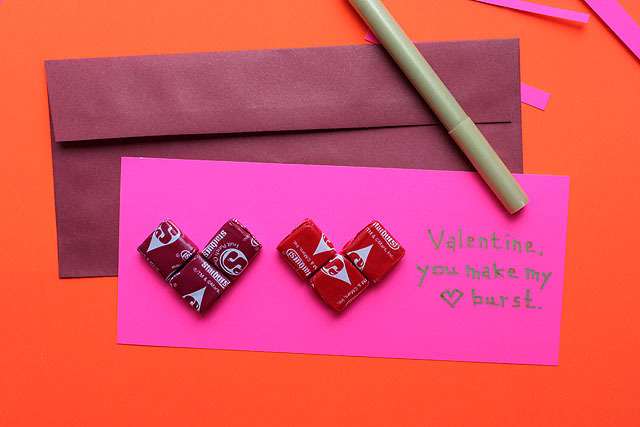 I hope they like their favorite juicy Starburst flavors put together to make heart shapes. 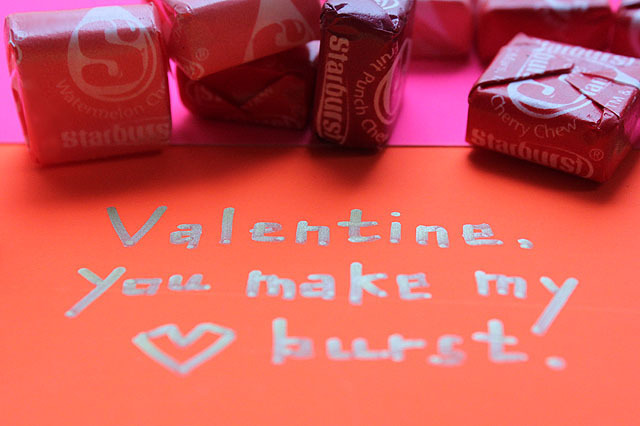 You can make your own Starburst hearts by gluing (I used Elmer’s) three Starburst on a piece of heavy paper (I used fluorescent poster board cut to fit a long envelope). 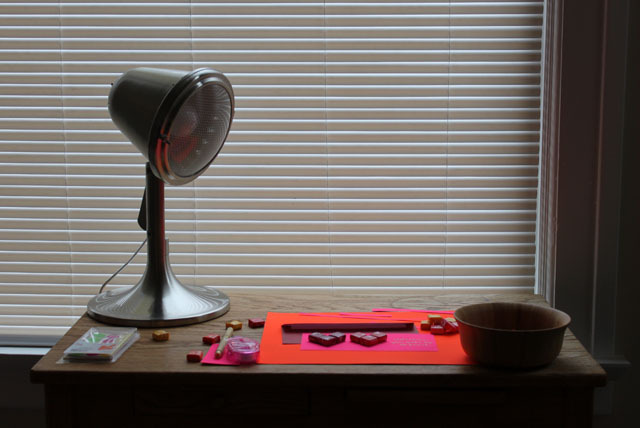 Candy tiles and juicy hearts! opal fruits! I have never had them, but I just looked them up online. Love the name.